We specialize in complex renovations, additions and custom home building. What we do will improve your home and your quality of life. 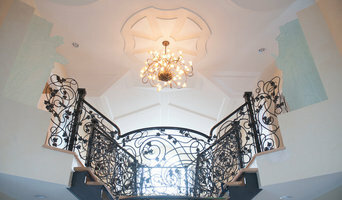 With a reputation for excellence built over 33 years, we are an award winning, family owned and operated, full service design/build team that includes an in-house interior designer, project managers, carpenters and office staff who strive for exceptional quality in everything we do. Our team has the skills to execute your project from concept to completion. You can confidently trust TQ Construction to deliver superior value and results, professional and personal service, innovative livability and sustainability solutions for your home. Nationally acclaimed and dedicated to top quality both in product and service – TQ will transform your unique vision as you see it. We are an award winning, complete service design/build renovation team that includes in-house interior designers, project managers, carpenters, engineers and office staff who strive for exceptional quality in every renovation we do. You can trust TQ to deliver superior value and results, professional and personal service, as well as innovative livability and sustainability solutions for your home. TQ Construction is a member of Greater Vancouver Homebuilders' Association (GVHBA), Canadian Home Builders’ Association (CHBA), RenoMark and Better Business Bureau (BBB). Recipient of numerous industry accolades - CHBA-BC Georgie Awards, GVHBA Ovation Awards, and National CHBA SAM Awards. Call us today for your free consultation about your renovation project! 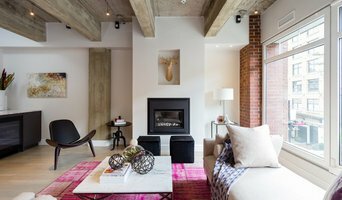 You can also take advantage of our online consultation request form at www.tqconstruction.ca/home-renovation-build-quote-request-vancouver. Contact us today for a complimentary consultation! 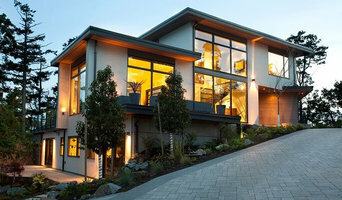 LJH Construction provides Residential Construction and Renovation Services in the Greater Vancouver area. We focus on professionalism and exceptional convenience to the client. In brief, we facilitate design & costing decisions; provide discounted materials, reliable, qualified trades and prompt warranty service. Every client is unique and their requirements are specific. Part of our initial meeting is to perceive the client's personal requirements that will influence the project. the home is a personal and private space. The detail in the work has to console, motivate, relax and represent the client and their wishes. Done properly, our work will create a space where our clients will make and share great memories. We begin by visiting your project location. We work with you to truly understand your vision and will propose solutions on how we can bring your vision to life in a cost effective manner. With years of experience, our design team will be an amazing asset in producing suggestions for layout and material, as well as providing all necessary drawings and material specifications. Feel free to reach out to us, we would love to hear from you! Since 2000, we've been Vancouver's premier design + build firm. The heartbeat of our work is making your dream a reality. Behind every kitchen. Behind every bathroom. Behind every living room. Behind every home lies a unique story. A story consisting of the accumulation of hopes, dreams, and memories. Our team of designers, project managers, carpenters, engineers, and office staff work together to give you award winning design, construction, and service. Let us be part of that story. Let us turn your home into an oasis of timeless elegance. Kingswood Builders Group Ltd. has been engaged in building renovations, additions, restorations, roofing and home design for over 30 years. Houses have changed throughout the years; however our commitment to quality construction and excellent customer service has remained the same. Every step of our time-tested building process, from design to construction, is geared toward client’s satisfaction. We take on each new project with pride and enthusiasm, eager to offer professional expertise and friendly advice. Working together we’ll create a living environment that is just right for you and your family. Ridgewater is an award-winning design build general contractor firm in Vancouver, BC specializing in renovations, custom homes, heritage restoration and commercial. As one of Vancouver’s and the Lower Mainland’s premier builders, Ridgewater is renowned for providing appealing designs and quality construction, that is built to last. Our work includes custom builds, renovations, heritage restorations and commercial projects. We have achieved this by employing some of the best talent within their fields of expertise. To date, this is evident in our completed projects and our clients’ testimonials. Our team is committed to professionalism, quality work, ethical practices as well as keeping current within their industries. We also adhere to high construction standards which include Building Green, recycling and environmental waste issues. Each of our projects have been uniquely innovative. We have blended various architectural styles, quality building materials, modern conveniences and the finest custom finishes in order to create a beautiful and functional timeless space. Be rest assured that Ridgewater has your best interests in mind and we want to provide you with a project that will bring you many happy memories for years to come. Let’s Build Something Great! General contractors Based in Burnaby, BC, Steelhead Contracting is a design build contractor that serves the entire Lower Mainland region. Our areas of focus are residential renovations and additions, custom new home construction, commercial (building and tenant upgrades) and strata property maintenance and improvements. At Black Thumb Contracting we pride ourselves on quality whether it is in a new home construction, renovations or additions. Hayden Killam has been building and remodeling homes in Vancouver and surrounding areas for over 20 years. He firmly believes that building a home is about more than tools and materials – it is about trust, integrity, quality, and communication. Rather than simply building a house, Hayden strives to provide quality service, and that means taking the time to listen. This is what sets him apart from his competition – he will give you the personalized attention you deserve, taking the time to understand and serve your unique needs throughout the building process from start to finish. We are confident in providing you ease of mind with our innovation, expert advice, and highest quality construction. As a licensed builder we offer a 2-5-10 Pacific Home Warranty. Allow us to make the process simple and gratifying. We are committed to exceeding all of your expectations! Renovating your home is a big decision. Choosing who will renovate it for you is an even bigger decision. Whether your project takes weeks or months, your contractor is going to be in and out of your home daily until the project is finished. We at New Vision Projects have had the chance to build amazing relationships with our clients would love the opportunity to show you why we should be your top choice when deciding who you want to work with. Best Builders was started with the mandate of sharing three key ideologies of home building. Sharing the VISION of the project with the client, architect and designer to create a cohesive team that can bring any concept into reality. Constant SERVICE throughout the project in the form of project management, office support staff and on site skilled labor to all clients no matter what the project is. Finally, no project is complete until Best Builders has achieved complete customer SATISFACTION. Best Builders was established in the late 90's incorporating in 2005. The Best Builder team offers clients a complete professional homebuilding package thanks to extensive knowledge and experience in design, contract procedures, project management and trade skills. Best Builders employs skilled in-house carpenters and experienced administrative support to ensure project deadlines and budget goals are respected. Approaching new home construction or a renovation can be overwhelming at times; we believe in educating clients throughout the entire process so they can enjoy their ideas and dreams becoming reality. 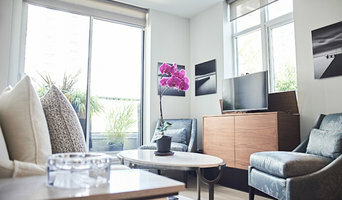 Previously Jomi Construction LIVING BETTER STARTS HERE™ Alair Homes is an award-winning custom home build and renovation company helping individuals and families enjoy happier, healthier, more productive and more comfortable lifestyles. Our philosophy is simple; we want to be completely unified with you in our goal of achieving an incredible product, on time and on budget. We know that there is only one way to do that—with transparency, thorough planning up front, and truly superior management systems for executing seamless projects. Every detail of our business as it relates to each project is an open book to our clients. Budgets, trade quotes, trade contracts, material costs—absolutely everything. What we see is what you see. Every Alair Homes project begins in our exclusive proprietary project management program. With this easy-to-use software, clients have access to real-time accounting updates, schedules, selections, sub trade communications, project specs, sub trade quotes and project galleries. We work with the absolute best suppliers and sub-contractors and get the best materials and products possible for your project. We pass all of our buying power, our trade relationships, and our unparalleled best practices directly to our clients. With over 70 years of combined staff experience in management and construction, the Alair Homes Chilliwack team has an edge on the competition. We live in the community we serve and so we know the relationships we build are what will sustain our own business so we are here to serve you over the long term, and help our community grow too. Since 2003 Chris Klaassen and the team have specialized in providing their clients with the best quality new builds and renovations throughout the Fraser Valley, previously as Jomi Construction, and now as Alair Homes Chilliwack. At Grenor Homes we assist our clients in the design and construction of their dream home. We build the top homes in the top areas and achieve record breaking market price presence. We put a lot of care and effort in the “small” things like finishes and fixtures. This was our goal from day 1. “It’s good enough” is not part of our vocabulary when it comes to building or renovating - we strive for excellence. Our passion for high quality standards drives us forward and takes our projects to astonishing results. The resale value of the last 2 homes we’ve built, exceeded the value in the areas by 25%. It’s not in our nature to cut corners. Get in touch with us. You owe it to your home. General, or construction contractors, are often known as project managers. They oversee the entire remodeling or new home construction project and facilitate all day-to-day tasks that move it toward completion. A Port Moody general building contractor will work with your architect to review plan as you build a house and ensure everything is in place before work is started as well as arrange for permits and necessary inspections. While good local home improvement contractors in Port Moody will have the skills to handle certain tasks onsite, such as carpentry, he or she is also responsible for hiring subcontractors for the majority of jobs, such as electrical work, painting or plumbing. In addition, the general contractor should be on-site regularly to inspect the progress and resolve issues. Here are some related professionals and vendors to complement the work of general contractors: Architects & Building Designers, Interior Designers & Decorators, Landscape Architects & Landscape Designers, Kitchen & Bath Designers, Specialty Contractors. Home remodeling contractors are a must for successful completion of a renovation. Because of this, it's essential that you do your homework before deciding on the right general contractor in Port Moody as you remodel or build a house. Inspect bids carefully. Was it ready when the contractor promised it? Was the bid for building a home unusually high or low? Each of these things can be very telling: A late bid may reflect timing standards, and an off-the-mark bid could be code for a pricey premium or a deliberate underbid to score the remodeling job. You should call references, carefully read reviews and visit completed projects in Port Moody, BC to see if they’re what you expect for your job. Once you do secure your local Port Moody contractors, read the contract very carefully to be sure everyone is on the same page. Find a Port Moody contractor on Houzz. Narrow your search in the Professionals section of the website to Port Moody, BC home contractors. You can also search for photos in Port Moody, BC and contact the Port Moody general contractor who worked on the project.